A rich history and recent success has put the Boston Red Sox among the most popular professional franchises in the world. 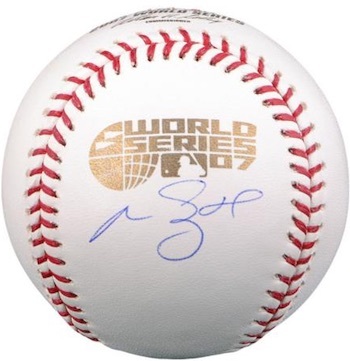 Boasting many top former and current players and eight World Series titles, the team has a very loyal group of fans and collectors. 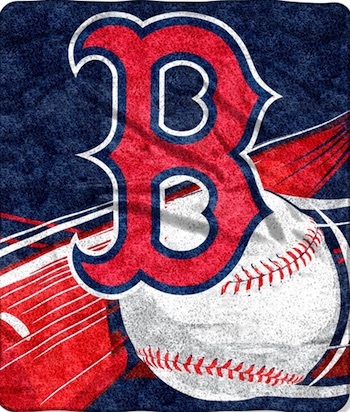 Therefore, it is safe to bet that most people have a close friend or family member who is a big fan of the Red Sox. Based on this small bit of information, we have compiled a list of 20 items that almost any fan of the Red Sox would love to receive for their birthday or holiday gift. To be clear, this article is intended as a shopping aid for those who are super fans of the Red Sox. 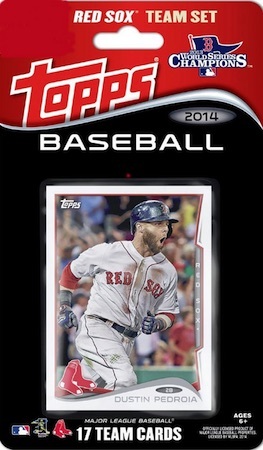 If you are looking for detailed information on the Red Sox and the collectable aspects of the team, check out comprehensive Boston Red Sox Collecting Guide. 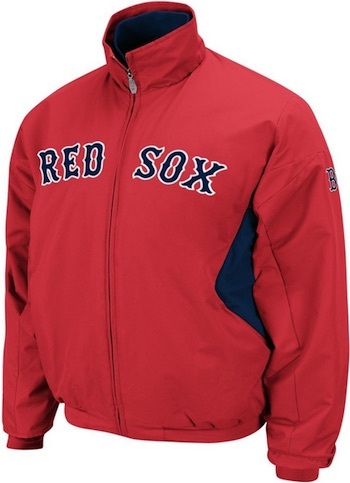 The following list features 20 items that would make fantastic gift options for Red Sox fans. 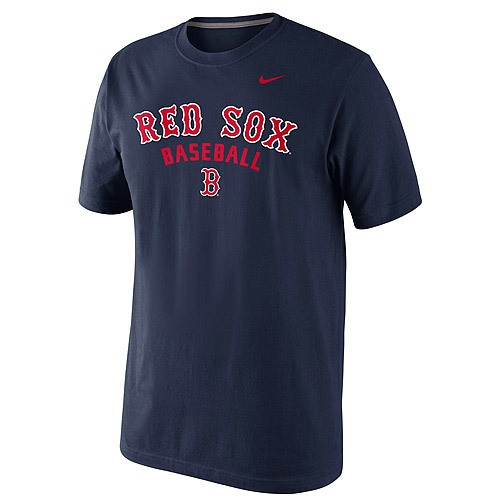 Falling across most budgets, specific and more broad gift suggestions are available for the Boston Red Sox. Sporting a classy look suited for a man cave or office, this subway sign lists some of the memorable headlines from throughout the team's history. The Boston Red Sox sign also features a capsule of game-used dirt. Following a well-documented title drought, the Red Sox added World Series wins in 2004, 2007 and most recently in 2013. This framed collage celebrates the 2013 victory with images of the key contributors and a piece of a game-used baseball. 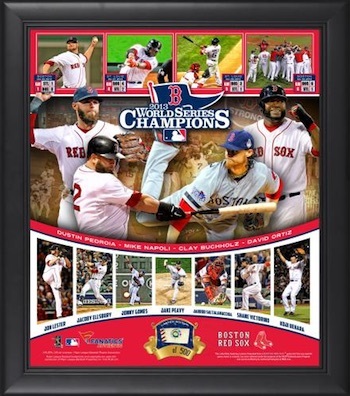 View other plaques and collages for the Red Sox here. Carl Yastrzemski is a Boston icon and a member of the Hall of Fame thanks to his tremendous 23-year career with the Red Sox. 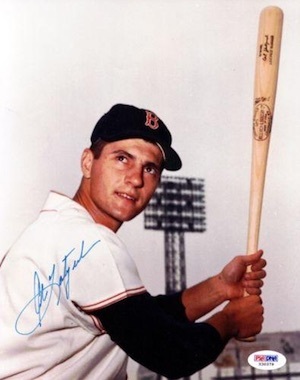 Signed options remain relatively common and this helps keep prices down on items like an autographed photo for Yaz. 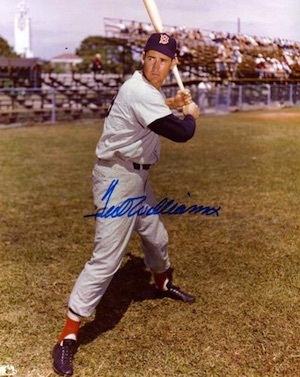 One of the greatest players of all-time, Ted Williams is the most popular and valuable Red Sox player for fans and collectors. With his death in 2002, the autograph supply is slowly drying up, but they still can be found with relative ease. A signed photo from "The Kid" would be an amazing gift for a fan and likely the new centerpiece to their Red Sox collection. 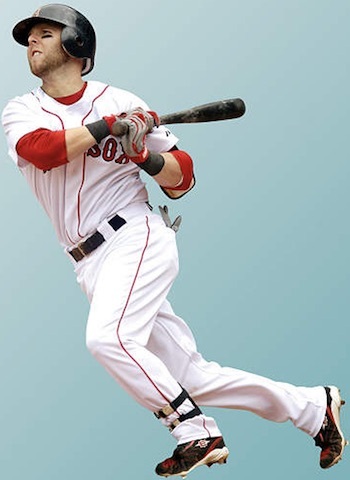 While injuries robbed him of something even more special, Nomar Garciaparra is still popular with Red Sox Nation and was an elite shortstop during the late-90s and early-2000s. 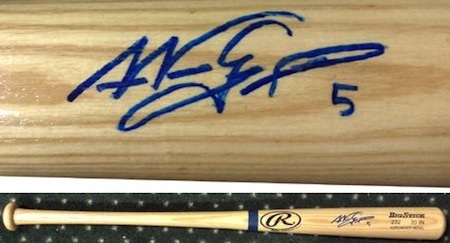 A signed bat from Garciaparra makes a great display piece and would be a appealing gift for a Sox fan. Another all-time great for Boston, Wade Boggs spent a decade with the Red Sox and was later named to the Hall of Fame. Despite his time spent with the rival Yankees, most Red Sox fans would love to add this signed photo to their collection. When Manny Ramirez was on his game, he was the toast of Boston and a key figure to their titles in 2004 and 2007. Things went south quickly for Manny, but he remains relevant with fans and this signed ball is great reminder of the good times. Although he made his way to several teams during his career, Pedro Martinez's best days overlapped his time with the Red Sox. 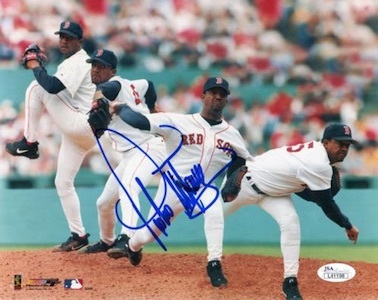 As a key part of the 2004 title team, Martinez holds a special place with fans and this signed photo offers a nice gift option for a Red Sox supporter. "Big Papi" brought flair and a penchant for big hits to the Red Sox and fans will never forget him. A key component of all three recent titles, David Ortiz is a fan favorite and his signed gear is a top gift option. 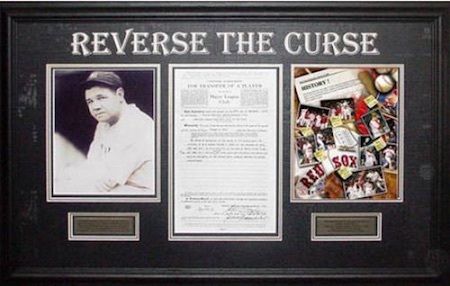 A sore subject for decades, the infamous "Curse of the Bambino" can now be reflected upon by fans of the Red Sox without a feeling of dread. This framed collage is a reminder of the trade that sent Babe Ruth to the Yankees and seemingly doomed the Sox for 86 years. The curse was broken in 2004 and Red Sox Nation rejoiced. 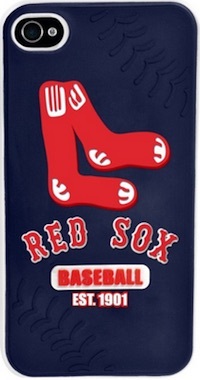 An intriguing budget gift or stocking stuffer, this colorful fleece blanket is all Boston and fans hope they will still be in use for those cold October nights. 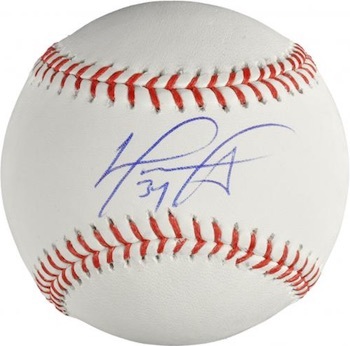 A perfect item for playing catch, displaying on a desk or getting signed at the ballpark, this inexpensive ball is stamped with the Red Sox logo. Baseball cards are a popular option for fans, but they are not as simple to buy because they are so specific. 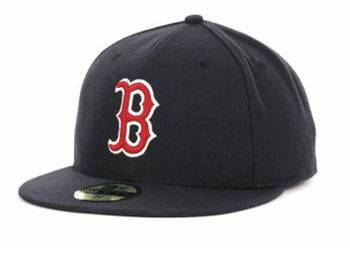 One option we recommend for budget gifts or stocking stuffers is Boston Red Sox team sets. Some are sealed and some are hand-collated, but the result is the same. Make sure to verify the year of the card and the players included to make sure you are getting what you expect. 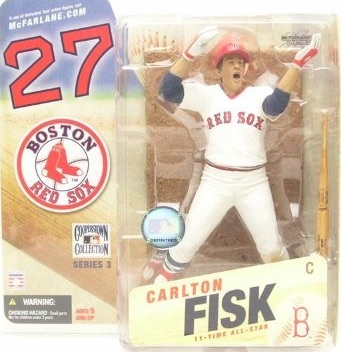 Whether shopping for a child or an adult, Boston Red Sox figures and bobbleheads can be a great gift. Several different brands offer a variety of options and many players can be found from the history of the franchise. Check out specific figures on eBay using the links below. There are a good variety of different Boston Red Sox team fatheads. 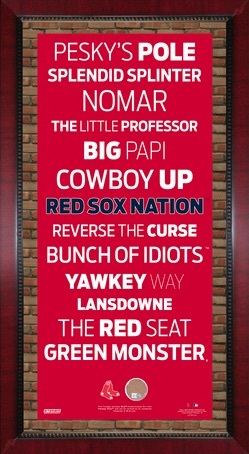 In addition to team logo versions, players are some of the top Fatheads and three of the most popular Red Sox are noted below. Smartphones are the new norm and can make for an easy and inexpensive gift for a Boston Red Sox fan. Just make sure to verify the exact make and model before you buy. We have included direct links to Amazon below for the most popular phone models. 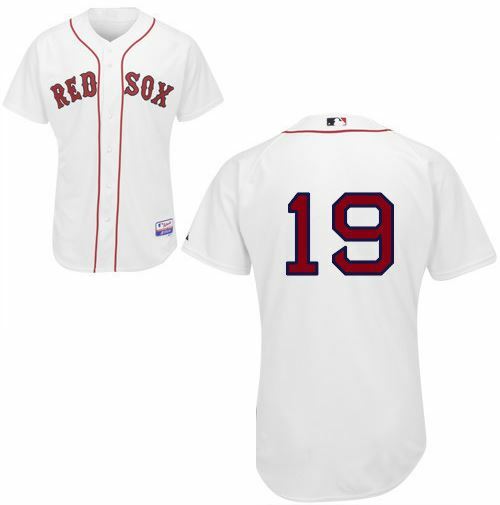 Jerseys remain the most common way for fans to display their love of the Boston Red Sox. Replica versions offer cheaper prices and fans can also have them customized for added appeal. If you are overwhelmed by the many versions, check our detailed MLB jersey guide here.